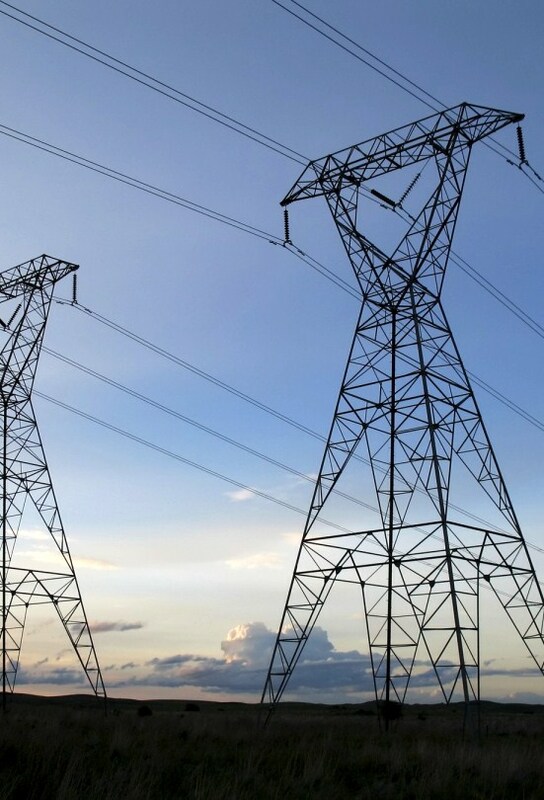 On March 20, 2014, the Federal Energy Regulatory Commission (FERC) issued a series of orders to address “coordination challenges” between the natural gas and electric industries. Specifically, the FERC issued three orders that seek to better coordinate the scheduling of natural gas transportation services between interstate natural gas pipelines and electric generators, and to facilitate more flexible and efficient use of interstate natural gas pipelines. First, in a Notice of Proposed Rulemaking (NOPR), FERC proposes to move the start of the gas day from 9:00 a.m. Central Clock Time (CCT) to 4:00 a.m. CCT; to move the start of the Timely Nomination Cycle from 11:30 a.m. CCT to 1:00 p.m. CCT; and to modify the current intraday nomination timeline to provide four intraday nomination cycles, instead of the existing two. The natural gas and electric industries, working through the North American Energy Standards Board (NAESB), will have 180 days from the date the NOPR is published in the Federal Register (Docket No. RM 14-2-000) to reach consensus regarding the changes proposed in the NOPR. If no consensus is reached, comments on the NOPR will be due 240 days from the publication date. Also, FERC initiated a Federal Power Act (FPA) section 206 proceeding and established paper hearing procedures regarding the scheduling practices of independent system operators (ISOs) and regional transmission organizations (RTOs). FERC ordered all ISOs and RTOs to coordinate their day-ahead markets with any changes adopted in the final rule in the NOPR docket, or to show cause why their existing scheduling practices need not be changed. ISOs and RTOs will have 90 days from the issuance of the final rule in the NOPR docket to make compliance filings, and interventions must be filed by April 10, 2014 (Docket Nos. EL14-22-000, EL14-23-000, EL14-24-000, EL14-25-000, EL14-26-000, and EL14-27-000). Finally, in a “show cause” order issued pursuant to section 5 of the Natural Gas Act (NGA), FERC ordered all interstate natural gas pipelines to revise their respective tariffs to provide for the posting of offers to purchase released capacity in accordance with 18 C.F.R. § 284.8(d) or to demonstrate existing compliance with that regulation. Compliance filings are due by May 19, 2014 (Docket No. RP14-442-000). On February 15, 2012, in response to increasing reliance on natural gas to fuel electric generators, FERC initiated a series of technical conferences to gather more information and identify areas for improved electric-gas coordination (Docket No. AD12-12-000). FERC held a series of technical conferences that examined, among other issues, natural gas and electric scheduling practices, including whether and how natural gas and electric industry schedules could be harmonized in order to achieve improved coordination and the most efficient scheduling systems for both industries. Pursuant to the “No Bump Rule,” interstate natural gas pipelines must prioritize firm within-path nominations over other transportation services, including interruptible transportation when they schedule nominated gas. Once scheduled, firm transportation service cannot be displaced, or “bumped” by another firm nomination in a subsequent cycle for that Gas Day. However, with the exception of gas scheduled during the last nomination cycle (Intra-Day 2), firm quantities scheduled during a later nomination cycle may “bump” scheduled and flowing interruptible transportation quantities. In non-ISO and RTO systems, the Commission’s pro forma Open Access Transmission Tariff specifies that firm interchange schedules need to be submitted by 10:00 a.m. day-ahead or a reasonable time that is generally accepted in the region and is consistently adhered to by the electric transmission provider. During the technical conferences, several participants expressed concerns with the lack of synchronization between scheduling practices of the gas and electric industries, and the lack of intraday flexibility of the gas scheduling system to accommodate generators’ needs to revise nominations in light of weather events or other operational needs. In the NOPR, FERC proposes to move back the start of the Gas Day from 9:00 a.m. CCT, which is in the middle of the morning electric ramp-up, to 4:00 a.m. CCT. FERC states that this would eliminate instances where electric load increases at the same time that natural gas-fired generators run out of their daily nominated quantities of natural gas, and thus are unable to meet their electricity market obligations. FERC also proposes to move forward the deadline for submitting nominations in the Timely Cycle from the current 11:30 a.m. CCT deadline to 1:00 p.m. CCT, so that electric markets would clear prior to the deadline for nominations in the pipelines’ Timely Cycle. FERC proposes this change in response to concerns that, under current scheduling practices, bids for pipeline transportation capacity generally are due prior to the time the electric day-ahead market clears. FERC concluded that, as a result, gas-fired generators are not certain whether their bids will clear and they will be called upon to operate until after the current Timely Cycle, when pipeline capacity is most available and natural gas supply markets are most liquid. With the proposed changes, FERC states that gas-fired generators will know the results of the day-ahead electric market and whether they will receive a dispatch order before they need to arrange natural gas supply and transportation during the Timely Cycle, minimizing situations where they are unable to procure sufficient resources to operate. FERC also proposes that pipelines offering enhanced nomination services, under which customers are given additional nomination opportunities beyond the standard NAESB cycles, should be permitted to bump interruptible shippers at least until the time when the bumping notice under the newly proposed Intra-Day 3 schedule is provided (6:00 p.m. CCT as proposed by FERC). Additionally, FERC proposes to revise its regulations to require pipelines to offer multi-party transportation contracts for firm service, under which multiple shippers can share interstate natural gas pipeline capacity under a single service agreement. Finally, FERC proposes a voluntary consensus alternative to permit the natural gas and electric industries to reach consensus on any revisions to its proposals by working through NAESB. NAESB will have 180 days after publication of the NOPR in the Federal Register to file consensus standards with FERC or notify FERC that stakeholders were unable to reach consensus on any revisions to FERC’s proposals. Comments either on NAESB’s consensus standards or on FERC’s proposals will be due within 240 days of publication of the NOPR in the Federal Register. NAESB will be required to integrate any final FERC regulations into its standards, even if NAESB has not approved those regulations. FERC instituted FPA section 206 proceedings for each of the nation’s ISO/RTOs examining whether the current individual ISO/RTO day-ahead scheduling practices are just and reasonable. FERC required that within ninety days after publication of the final rule in the NOPR proceeding, each ISO and RTO must either file to adjust the time at which the results of its day-ahead energy market and reliability unit commitment process (or equivalent) are posted to a time that is sufficiently in advance of the gas industry’s Timely and Evening Nomination Cycles for gas transportation, respectively. FERC stated that this change is intended to allow gas-fired generators to procure natural gas supply and pipeline transportation capacity to serve their obligations, or show cause why their existing scheduling practices need not be changed. Importantly, all interested parties must file interventions in the Section 206 proceedings by April 10, 2014. FERC also instituted a NGA section 5 proceeding requiring all interstate pipelines to make compliance filings by May 19, 2014, to either revise their respective tariffs to provide for the posting of offers to purchase released capacity in accordance with 18 C.F.R. § 284.8(d), or otherwise demonstrate full compliance with the requirements. Section 284.8(d) requires pipelines to provide notice of offers to release capacity and of offers to purchase released capacity, and to post the terms and conditions of such offers on their websites for a reasonable period. Parties commented during the Docket No. AD12-12-000 technical conferences that it would be beneficial for them to be able to post offers to purchase capacity when they need that capacity, thereby informing potential releasing shippers of their interest in taking a prearranged release of capacity, and the rates and terms they would be willing to offer the releasing shipper. These comments prompted FERC staff to examine pipelines’ compliance with Section 284.8(d). FERC explained that none of the pipeline websites it reviewed provided locations where such offers may be posted, and no tariffs it reviewed provided for the posting of offers to purchase released capacity or described the information to be included in such offers. This prompted FERC’s Show Cause order. The Show Cause order also requested that NAESB develop business practice and communication standards specifying: (1) the information required for requests to acquire capacity; (2) the methods by which such information is to be exchanged; and (3) the location of the information on a pipeline’s website. In the NOPR, FERC recognizes that scheduling modifications cannot resolve all of the concerns related to increasing reliance on natural gas to supply the nation’s electricity needs, which may include needs for the construction of additional pipeline transportation capacity in certain regions. However, FERC concludes that the proposed adjustments to the Gas Day and interstate natural gas pipeline nomination timeline will improve coordination of the natural gas and electric nomination and scheduling systems, while maintaining the substantial efficiencies gained through standardization of the natural gas scheduling system. The March 20 NOPR and related orders may indicate the first step in FERC’s willingness to make significant modifications to gas and electric industry-wide practices in order to advance its goals regarding gas-electric coordination. However, the NOPR could potentially result in substantial software system upgrade and other costs that far exceed the minimal cost burden the Commission estimates in the NOPR. Van Ness Feldman has established an Electric-Gas Coordination working group and closely monitors developments related to the nation’s increasing reliance on natural gas for generation of electricity. For assistance or additional information, please contact Greg Junge or Evan Reese. Follow us on Twitter @VanNessFeldman and @VNFELECTRIC.